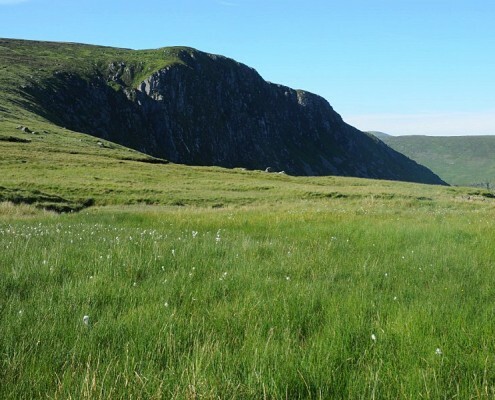 The Glenmalure Lodge is situated at the centre of the longest glacial valley in Ireland. It is within easy reaching distance of many of the main landmarks. 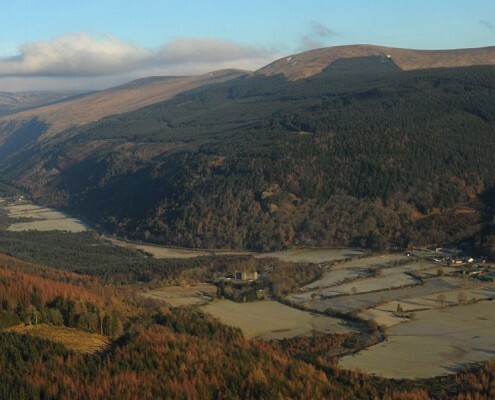 Glenmalure is a classic U-shaped valley that displays many features of glacial erosion such as the hanging valley of Fraughan Rock Glen and the two corrie lakes of Kelly’s Lough and Art’s Lough. 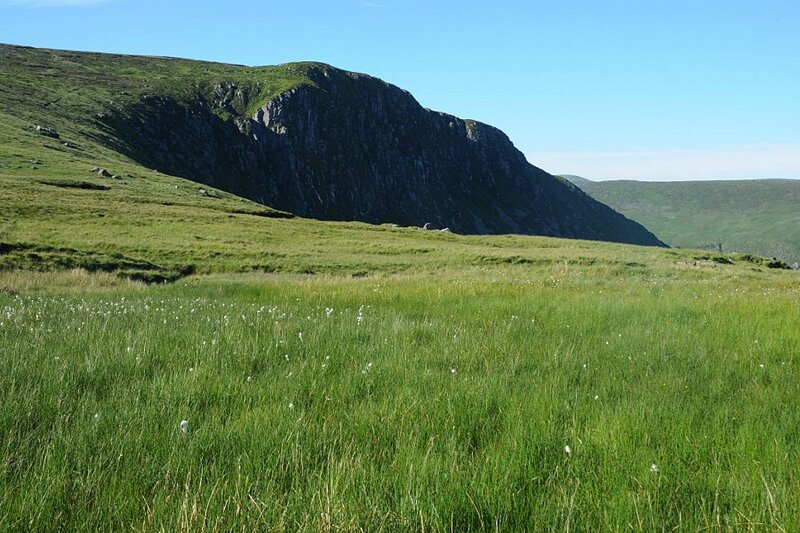 Perched above the entire valley is Lugnaquilla, which is the highest mountain in Leinster. Barravore is at the top end of the Glenmalure Valley and there is plenty of visual evidence that still exists of it’s mining past. 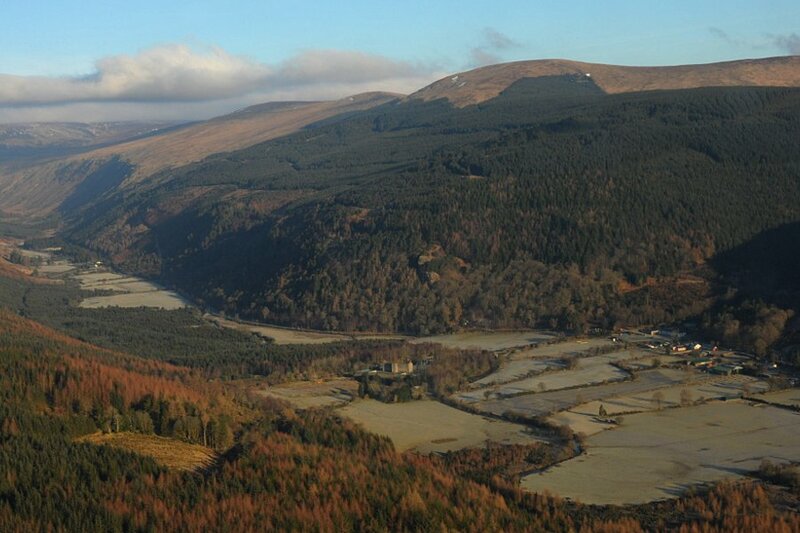 Glenmalure is one of four valleys in County Wicklow that was mined for lead, the others were Avoca, Glendalough and Glendasan. It is thought that mining in the area began sometime around the 1798 Rebellion. 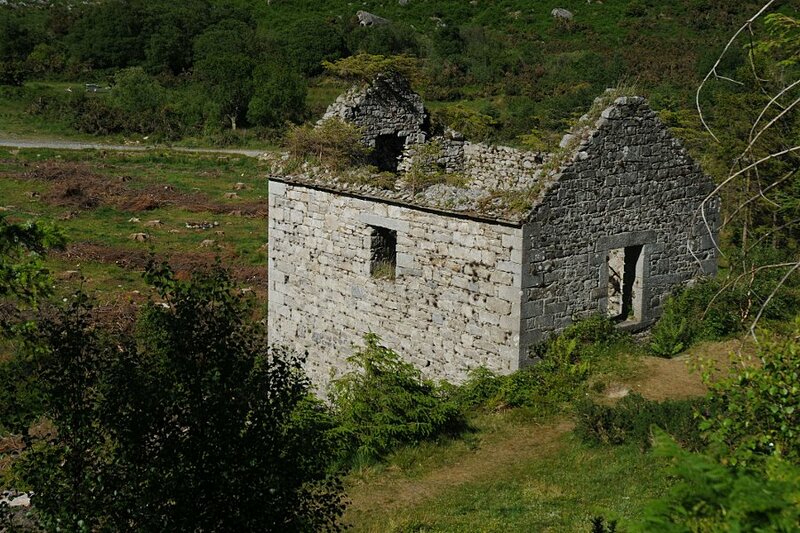 Glenmalure was one of the last strongholds in Wicklow where rebels were still active at this time. Despite this, the mine managed to produce around 400 tonnes of lead ore every year and remained in operation until 1864. At the lower end of the Glenmalure Valley, just a few minutes walk from the Glenmalure Lodge, is the Drumgoff Barracks. After the 1798 Rebellion, an effort was made to quell the Irish Rebels that were taking refuge in Wicklow. The British built the Military Road through the centre of Wicklow to link up four barracks at Glencree, Laragh, Drumgoff and Aughavannagh. However, it was shortly after its construction that Michael Dwyer and the Rebels reached a truce with the British and so the barracks was left unoccupied. 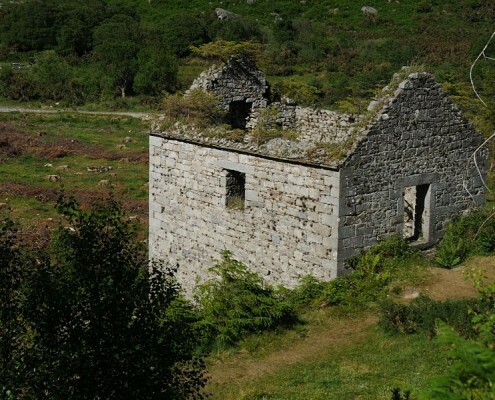 The building was later used for accommodation to the Glenmalure Miners.